Home » Unlabelled » Thank You Veterans! 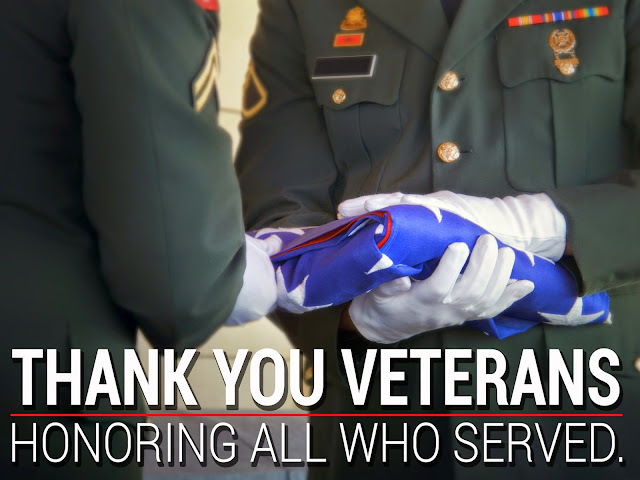 Veterans Day is a time to remember and pay tribute to the brave men and women of the U.S. armed forces. We would like to thank all of those who have answered the call of duty on behalf of all Americans. We appreciate the great personal sacrifices made by these men and women and their families. We are deeply thankful for the veterans who served our country with great honor in the past, and to those who protect our country today. We hope everyone has a great Veteran's Day!